In an effort to create additional performance opportunity for the more serious students, Royal Grace Academy of Dance has formed Royal Grace Elite – a small ensemble comprised of Level IV dancers. This group will be formed via audition, and will mimic a professional performing ensemble. Rehearsals for Royal Grace Elite will be held on Saturdays. As part of Royal Grace Elite, dancers can expect to hone their technical and artistic abilities while exploring choreography that breaks the mold. Each rehearsal will begin with a shortened ballet class wherein dancers will have the opportunity to focus specifically on refining their technique so as to reinforce progress made in weekly classes. Dancers will also partake in additional pieces choreographed for the end of the year performance. 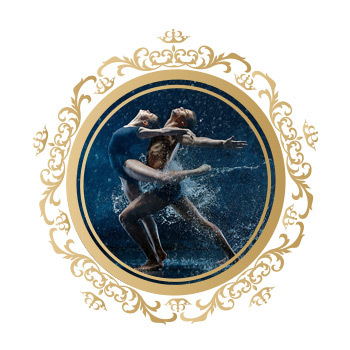 The goal of the choreography set for Royal Grace Elite is to challenge the dancers to go to new levels with their dancing, and develop style and esthetic of movement that will expand their artistry. In order to be considered as part of Royal Grace Elite, dancers must take at minimum all Level IV ballet classes offered, pointe, jazz or contemporary, and tap, hip hop, or acrobatics. During the audition, dancers will be given a section of choreography to perform. Between 7 & 11 dancers will be selected, and an additional 1 to 3 as understudies. Choreography for Royal Grace Elite will be done by the Artistic Director, and potentially other instructors at Royal Grace Academy of Dance.